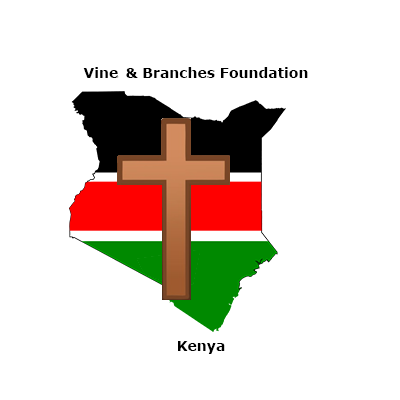 The Vine and Branches Foundation Kenya, VBFK, is a FAITH based organization born out of the need to care for children across Kenya due to the extremely high numbers of people with HIV and AIDS. In 2014 the VBFK was formed by six people who surrendered their hearts in obedience to God to make a difference. With over one million orphaned at risk children there is an urgent need to care for them and give them an opportunity to grow, prosper and have a better future. Our Directors Meshack and Fame Ole Sabari run the Children’s home on the LOV campus caring for these children. With 8 children living there full time they have become a caring close knit loving family. Another piece of our support team is Dr. Peter Cheboss and his wife Joyce. Working with and supporting Meshack and Fame they do monthly “well child care” visits to ensure the children stay healthy. Sponsoring a child or giving a donation helps. In Kenya, $1 a day can make a difference in a child’s life in a positive way.